The wild cattle are a separate visitor attraction from the castle. 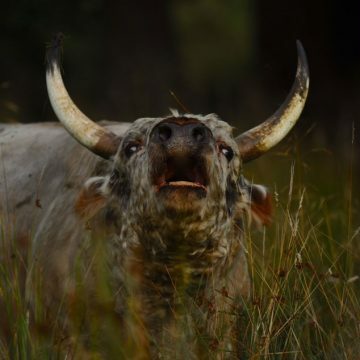 They are the only wild cattle in the world, sole survivors of herds that once roamed the forests of Britain. Once they were held sacred and pre-Christian pagans sacrificed them to their gods. Later in their history, this herd both defended and fed the castle. These animals are still potentially dangerous and can only be visited with the Warden, who will take you as close as safely possible and explain their more recent history and way of life. 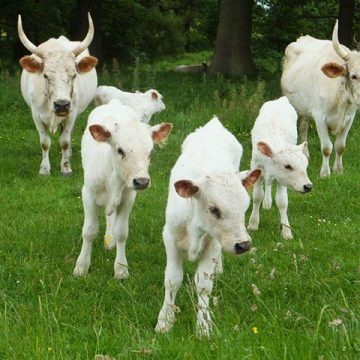 Remember, they are rarer than any endangered Panda or Mountain Gorilla, and are simply the only wild cattle in the world. Visit www.chillinghamwildcattle.com for more information. There are joint Castle and Cattle tickets available at a discounted price at both attractions.